Hello, I'm an organic mango yummy yoghurt packed full of mangoes, Greek style yoghurt, bananas + apples. Who am I for? 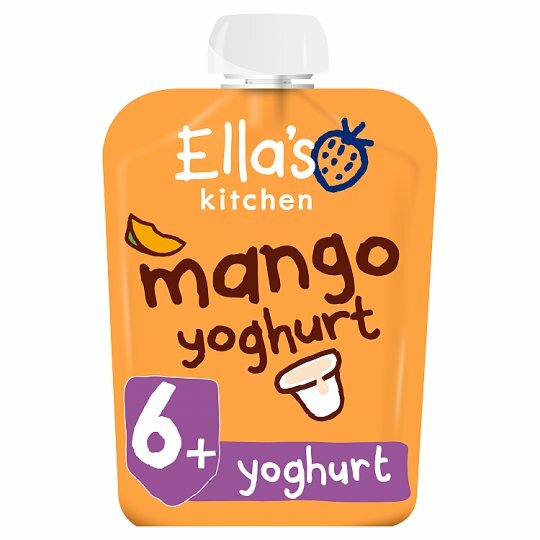 My pouch contains gently pasteurised smooth + creamy yogurt so my ingredients are suitable from 6 months. The Government advises that foods containing dairy products should only be introduced into a baby's diet after 6 months. Keep me in a cupboard or a fridge. Once opened I can be kept in the fridge for up to 24 hours. Do not freeze me - I won't like it.